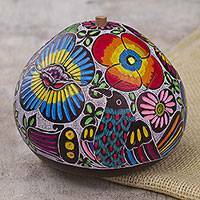 Teodolinda Seguil of Peru hand carves a scene of birds and flowers on this decorative gourd box. Hand painted in white, red, and black, this decorative box is a lovely work of art. 9 cm H x 8 cm Diam. 3.5" H x 3.1" Diam. 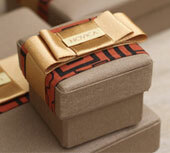 Artfully crafted by Teodolinda Seguil from Andes. "I feel a real passion for carrying on this art. It's the most wonderful gift that I could ever have received as an inheritance." "I'm a happy representative of Huancayo, Peru. The province is known for its enchanting landscapes, its people and our customs. "I'm responsible and cheerful, though I'll fight to get ahead for my family. I believe that when a woman is happy, she transmits it, and this is true in the workshop as well. I want to transmit my happiness through my mate gourds. 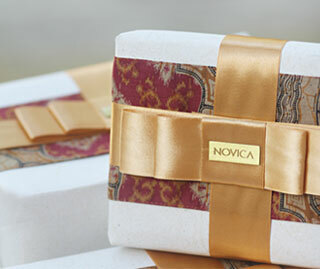 "Huancayo is the home of many talented artisans. I'm from a small town of friendly, welcoming people who are enterprising and progressive. 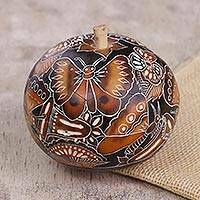 Many of us are artisans who work in engraved dried mate gourds. 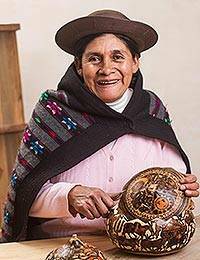 Here, skilled hands depict images that tell the stories and share the dreams of life in Andean villages. 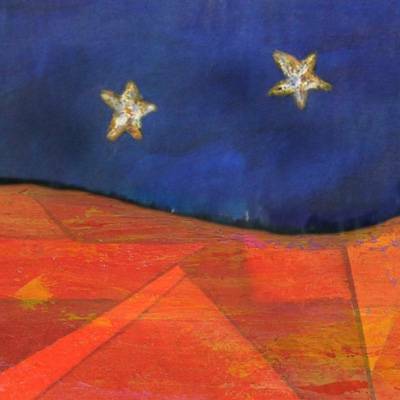 "I've loved this art for as long as I can remember. My grandparents engraved gourds and so did my parents, so they began teaching me how to use the tools at an early age. 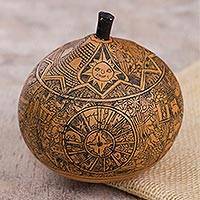 With my family's guidance, I learned to select and treat the gourds, to prepare my own tools and to decorate and paint the finished engravings. "It took constancy and perseverance to carry on this craft but, as time went by, I perfected my technique. I love depicting scenes of daily life in the Andes, and sharing the culture and traditions of my hometown. My mate gourds show that we are a region of caring people, incredible landscapes, a wonderful climate and colorful festivities with music and dance. I bring these images to all my work because they are a part of me and who I am as an artist. "I feel a real passion for carrying on this art. 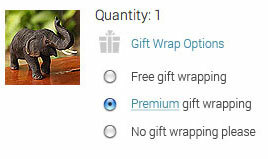 It's the most wonderful gift that I could ever have received as an inheritance. 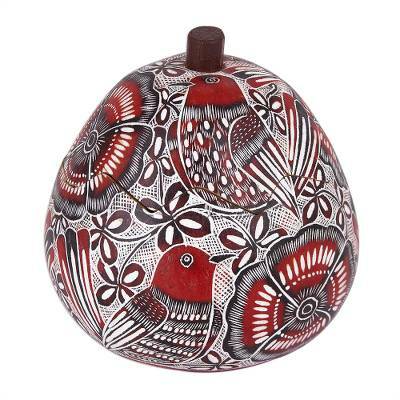 "One of my dreams is to be recognized as a master artisan in this world of engraved mate gourds. I always want to be the best I can be, and leave my children the best I have to give. I want to share the happiness I feel when the world takes an interest in our culture and way of life."